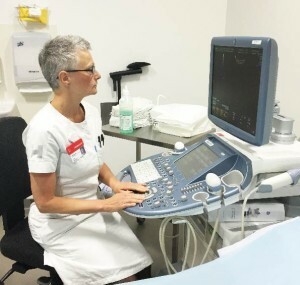 During a scan, it is vital that all the details in the image on the monitor are clearly visible, and therefore, the ultrasound clinic chose to install Ergonomic Lighting in all rooms in 2013. This special light has provided good results. Before the unit installed Ergonomic Lighting, all procedures took place in the dark. ”It makes a difference that we now have light all the time – for patients as well as staff. It is pleasant to work in and the patients feel calmer”, explains the charge nurse Jette Frederiksen. The lighting solution at Hvidovre Hospital has four different settings, which have all been developed specifically for the ultrasound clinic. Together with the staff, Chromaviso’s lighting experts outlined the working procedures at the unit and their needs before, during and after procedures. After this, various colour combinations were tested until the optimal settings were in place. ”We had a good dialogue regarding the light settings. We talked about our needs and work, and Chromaviso offered expertise about complementary colours and recommendations as to which colours that are optimal for ultrasound. We have ended up with four settings that we are happy with and which give us more options. It is a flexible solution that ensures that we get the right light”, says Jette Frederiksen. 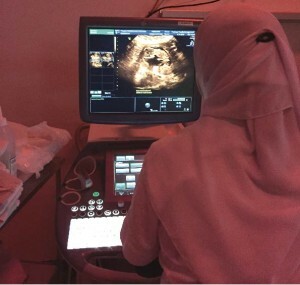 During a scan, the staff chooses between two images on the monitor, either the normal black and white or an image with more brown and orange nuances. With Ergonomic Lighting, they have a light that supports their work and makes the contrasts and details clearer on the monitor. 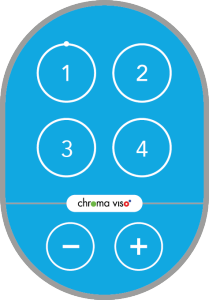 As part of the follow-up and user training, Chromaviso has held meetings with the users at the unit, where the different light settings very gone over and discussed. ”I am very happy with our sepia light and always use it. I see structures in the images better, and my eyes relax more. It makes a big difference”, explains midwife Mette Tindholdt. Furthermore, the new light has had an effect on light sensitivity. ”I feel better after work and am less sensitive to light when I go outside. The light does not feel as sharp and I no longer need sunglasses when I am driving out of the basement parking”, explains Mette Tindholdt. Furthermore, she has started using the setting daylight simulation between the scans in order to get a boost of light in the middle of the day. It has been documented that bright light during the day contributes to more energy and has a positive effect on the circadian rhythm of the body and on sleep quality. Therefore, Chromaviso recommends that the staff makes sure to use daylight simulation between procedures. before, during and after procedure.